Junior Beginner’s Course – If your youngster is aged 9-15 years and has never skied before, they can have 4 hour’s tuition in a group for £55! It’s Monday – Thursday, 10.00 – 11.00. 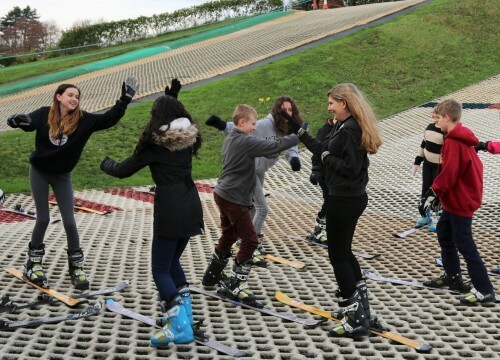 Open Practice – If you’ve skied with us before and can safely ski from the top of the hill, you should have one of our Open Practice passports, so you have the opportunity to come and play for an hour at 1.30 every day. Minimum age 8 years (6 if accompanied by a skiing adult), and it’s £10 for adults, £8 for under 16’s. If there’s a crowd of you, why not book a Private Session and have the slope to yourselves for an hour? Sessions available everyday at a time to suit you.